When the children from La Colonia heard that Harper Branch was making sandwiches for the prisoners they wanted to join in with the cause. 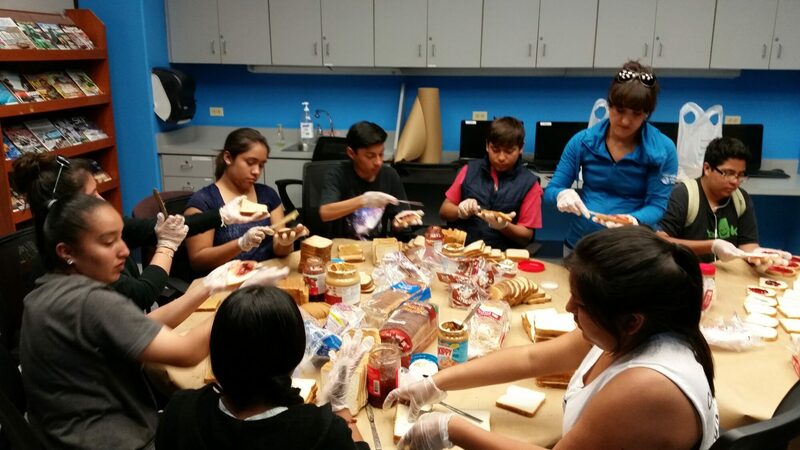 Both Branches came together at Harper and made peanut butter and jelly sandwiches to feed the needy. It was so beautiful how all the children brought all the supplies and how they all worked together to make the sandwiches with so much love. Age did not matter. They all wanted to help and be a part of it. For one of the children this project hit home and took this very serious. His father is in prison and he said he made the sandwiches with extra love since his dad would be receiving one. Sometimes we do things and never hear about how we changed a life. Sometimes the ones that give receive so much more!